Since Schiaparelli will land on the surface it is subject to strict planetary protection regulations. 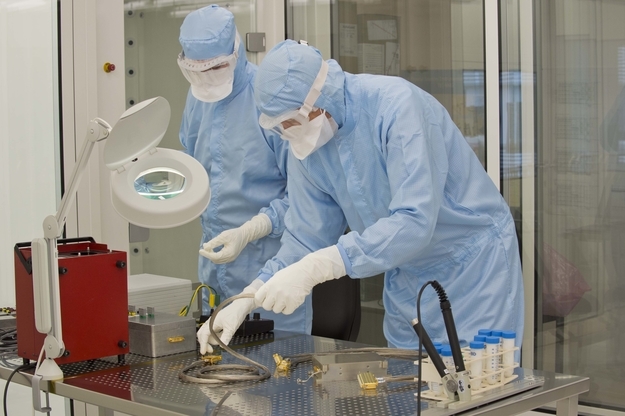 For this reason COMARS+ was assembled in a cleanroom at the European Space Research and Technology Centre (ESTEC) in Noordwijk, the Netherlands. This photograph shows team members assembling the package and doing functional tests.